This week we are all working on the very trendy nautical theme. 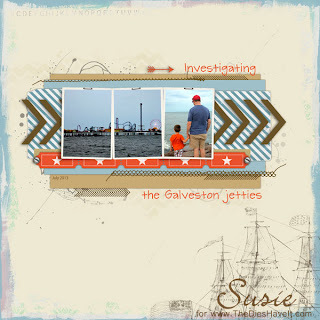 The theme worked perfectly for me since we were able to take two seaside vacations this summer! Here are my son-in-law and grandson checking out the jetties in Galveston one evening.